SKU: N/A. Categories: Jewelry, Necklaces. 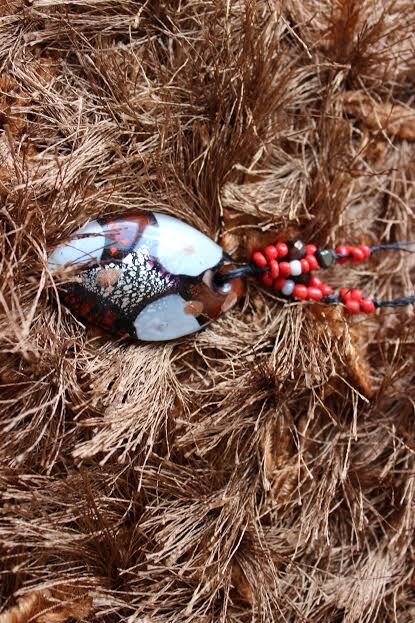 Tags: african print, necklaces. 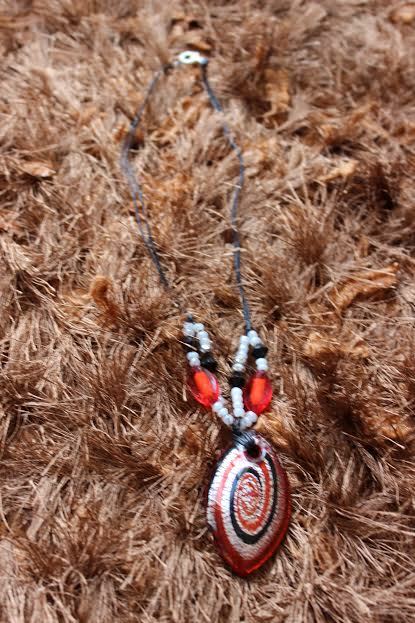 Red/Black/White tribal print pendant and beaded necklace. 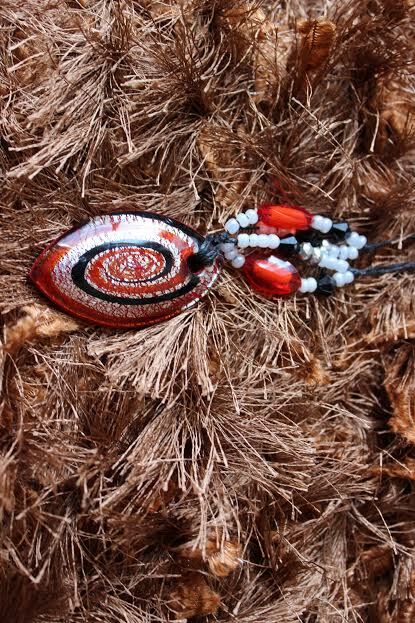 The is the Swirl Pendant and the Turtle like Pendant.